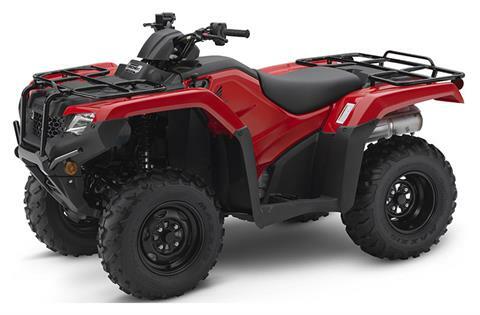 2019 Honda TRX420FE1 Rancher with electric shift and 4wd! What makes Honda’s line of FourTrax Rancher ATVs so famously admired? Where do we start? For countless thousands of ATV owners, the Ranchers just hit that sweet spot. Big enough to tackle big jobs or adventures, week in and week out. Nimble and light enough to be maneuverable in tight terrain, and not wear you out after a day in the saddle. Affordable. Reliable. And the list goes on and on.